Of the pearl’s many positive attributes, perhaps one of the strongest is its versatility. Pearls can be worn year-round, due to the great variety among their colors, shapes and sizes. They truly look wonderful with everything. When it comes to wearing pearls in the winter as opposed to the warmer months, one of the primary fashion differences is that pearls are less likely to be worn against the skin as your winter wardrobe becomes as much about warmth as it is about fashion. 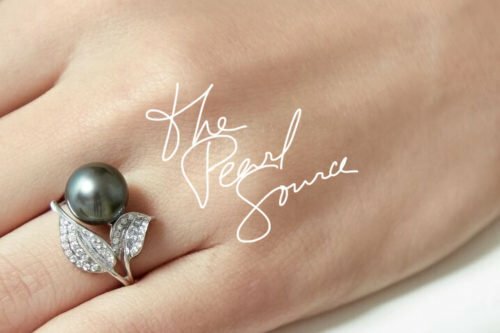 In other words, when choosing the right pearl jewelry in the summer, you’re often going to choose the color of pearl which best compliments your skin tone, given that your pearls will often be worn against your skin. In winter, however, your clothing choices will have a bigger impact upon your pearl choices. For formal wear, winter is the season of the little black dress – also known as the pearl necklace’s best friend. A black dress worn with pearls is such a classic look – whether with a choker, an opera strand, or anything in between. For a more casual look, consider a collared shirt under a sweater, and again with nearly any length of pearls. A short strand will look beautiful peeking out under your collar, or a longer strand looks lovely against the sweater. But for every look, you should consider the color and style of your clothing before choosing the pearls which best suit your style. If you are looking for the most versatile choice, you can never go wrong with white, round pearls. If you want something to add a little excitement to your wardrobe, consider a golden shade of pearl or perhaps silver or even black – depending on how much attention you want to attract. Regardless of the season, pearls are always a wonderful choice. This winter, try stepping out of your comfort zone and wearing something new. How Do Pearls Get Their Round Shape?